Our children need our full support when they chat on the phone. Here’s why. When bullying occurs, it doesn’t stop after school. If we don’t pay attention as loving parents, harassment will follow our children into our homes and compromise the emotional health and safety of everyone in the family. Spreading gossip, secrets or rumours about another person that is harmful to that person’s reputation. Breaking into an email, messaging account or device and sending hurtful materials to others under an assumed identity. Creating blogs, social media posts or websites that have stories, cartoons, messages, pictures, videos or jokes ridiculing others. Taking an embarrassing photo or video of someone and sharing it with others, either directly (eg. 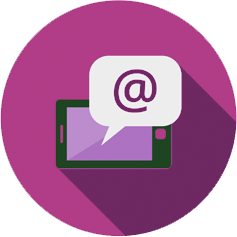 email, text messaging) or indirectly (via website or social media post). 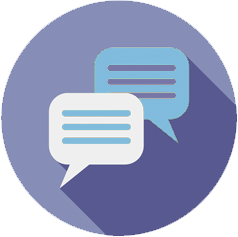 Engaging someone in instant messaging, tricking them into revealing personal information and then forwarding that information to others. Using someone else’s password in order to change their profile to reflect sexual, racist and other content that may offend others. The best way to prevent and fight cyberbullying is to maintain an open relationship with our children. As children grow, they assert themselves and develop social skills, becoming more and more autonomous. During this journey towards adulthood, you want to make sure that you support them when it counts. If teens are being cyberbullied, they may exhibit the signs of traditional bullying. They may appear unhappy, irritable, or distressed, particularly after using the computer or viewing their cell phone. Even more frightening is when there are no obvious signs - teens may be very adept at hiding the stress they are under due to embarrassment or fear of judgement (from either their parents or their peers). That’s one of the reasons we built BullyGuard™ - to give parents that early warning before a problem grows. activities will be restricted. Reassure your teen you will not take away their phone or Internet, but if they encounter anything online that makes them feel uncomfortable, or if they receive any messages or view content that is harassing or upsetting that it is important to talk to an adult. Remember that bullying can sometimes start innocently - like teasing amongst peers, but can escalate from repetition, frequency or intent. Monitor any potentially problematic situations or individuals communicating with your child closely, and maintain an open dialogue with your teen about it. Always report incidents of clear cyber bullying to your child’s school and to your Internet Service provider. School boards have Codes of Conduct that include cyberbullying. If teens are cyberbullying others, they may have a history of aggression or bullying in more traditional ways, or have friends who do. Often, bullies may justify their activities as a kind of justice or revenge against people they feel have wronged them. They may show signs of stress (as above) or may not. There have been a number of stories in the media over the past few years concerning cyberbullying. Use these as a starting point for a conversation with your teen about what is considered acceptable behaviour both on and off-line. Set family guidelines and rules for online behaviour. Encourage teens to think how they would feel if they were the target of cyberbullying. If your teen’s actions are in retaliation to a perceived wrong, you should respond and advocate for your teen as though they were victims as well. Encourage your child to apologize to the person they have hurt. Emphasize the consequences if bullying does not stop – the effect it has on other people, the loss of all cellphone and Internet privileges, and possibly, legal consequences. Get more than a phone tracking app. Choose a positive parenting alternative. The vast majority of options consist of mobile phone spying apps or phone monitoring devices that copy/paste conversations onto servers, requiring you to access the content and spend hours reading. It’s a time-consuming task that also potentially puts your child’s privacy at risk. BullyGuard acts as a safety net, immediately catching inappropriate behaviour in your child’s text messages, whether sent or received. Our philosophy consists of empowering parents and nurturing fundamental values such as trust, non-judgmental communication and self-confidence. 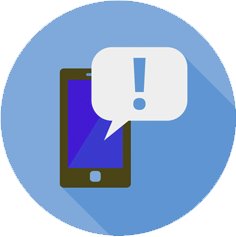 Our non-intrusive app sends email alerts to parents whenever inappropriate text messages are detected. No data is ever stored outside your child’s phone. Our goal is to initiate healthy conversations between parents and children, so they enjoy an enriching social life while remaining safe.